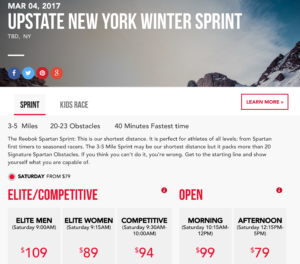 Many of my OCR friends and connections have complained this year that the annual Spartan Race elite season pass has gone up in price – now running $799 annually. And, despite their own season passes running many months into 2017, there appears to be no pro-rating (although I have seen people claiming they have indeed got pro rated pricing). 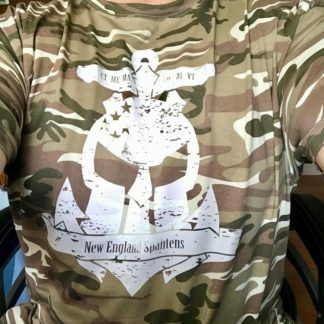 This blog post isn’t to talk about that. 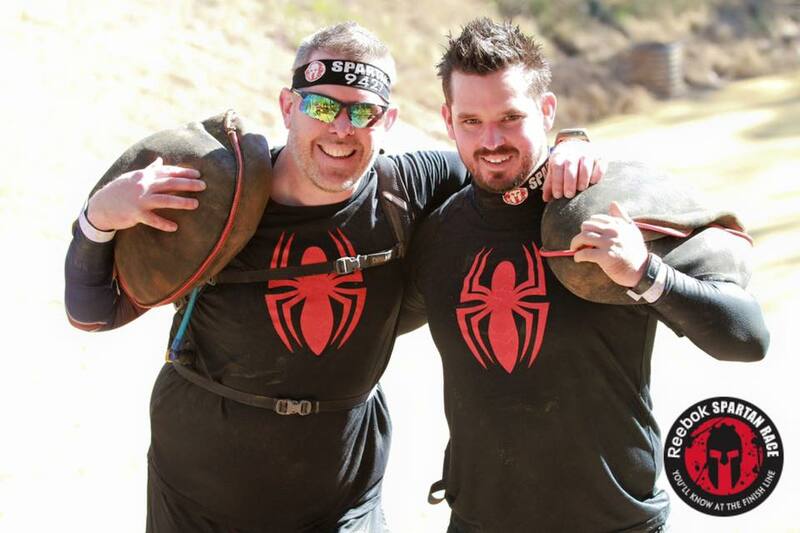 I’ve spoken about Spartan season passes in years past and if you are at the pro or elite level, or have sponsor support, or simply have your heart set on running Spartan’s over and over, then it makes sense for you and you go nuts. But what if there was an alternative? Of course, there is. 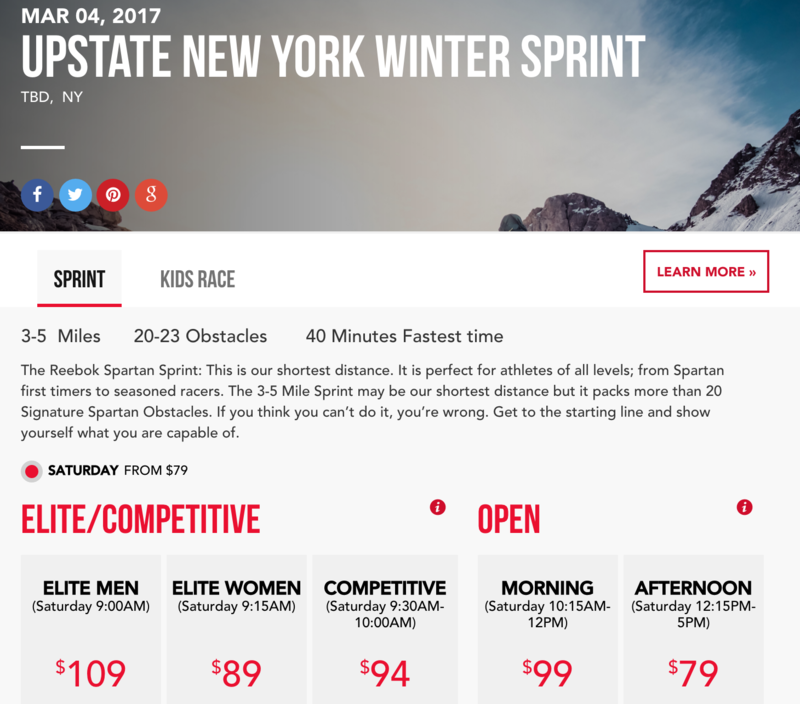 Add in $35 for #racelocal registration, and you earn points as you go, and get prizes, and competition to push yourselves against others. and you don’t even need to leave New England. #racelocal – a lot of bang for your buck. Of course, many of these events also have multiple lap options. Most race directors will be at the start line, the finish line, and will know your name and say hi. and so is the winter obstacle course race season. 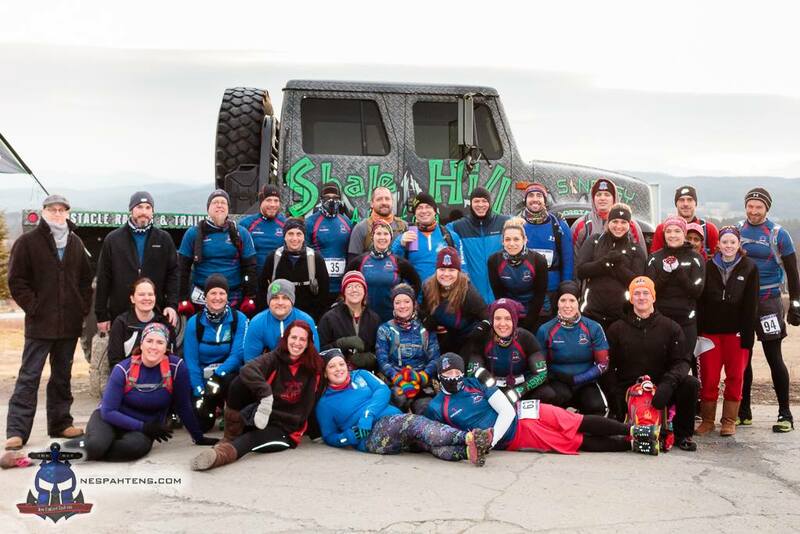 Spartan Race recently announced that they will be holding their first winter focused event – and the social media space got all excited. 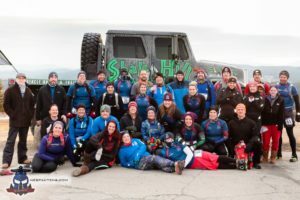 Spartan Race, in the snow? I mean, holy crap right? Crawling in the snow? 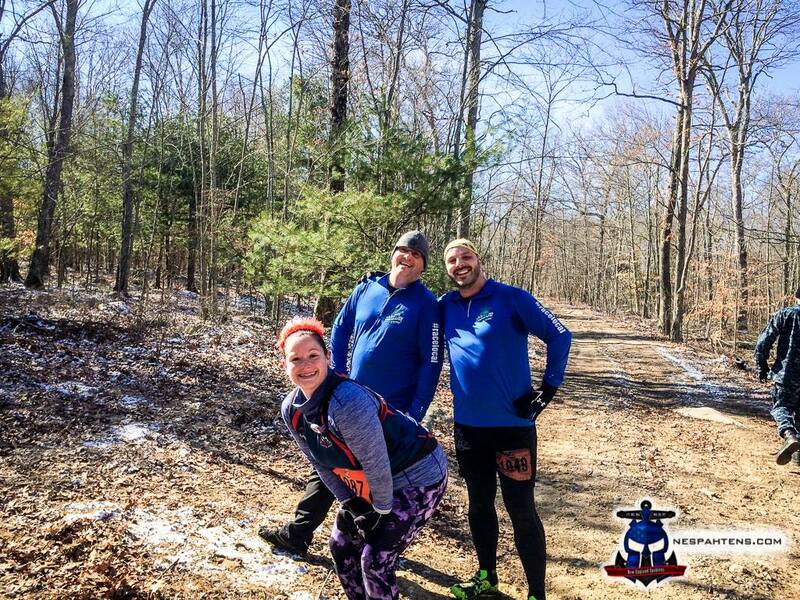 Running in cold-gear? I’m here to break the news to you that while I think this is an awesome move on their part – they are late to the party. 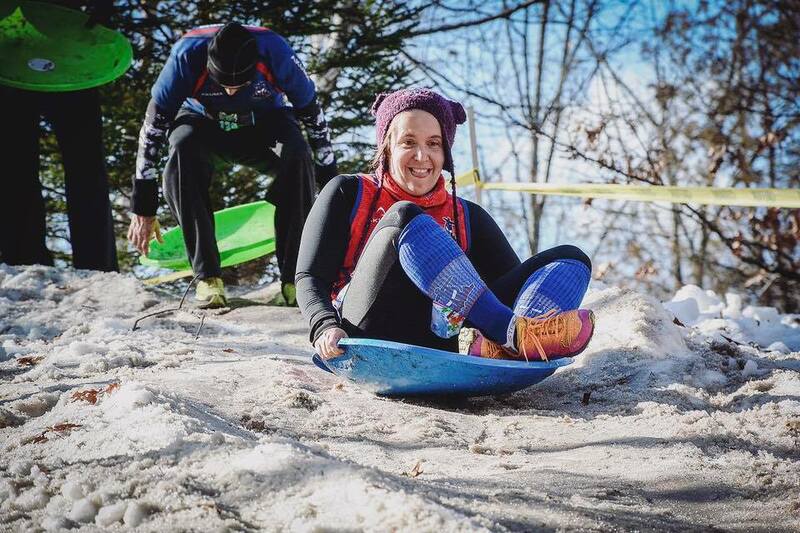 New Englanders have been running in the snow for four or five years now. Blizzard Blast – January 29th 2017 – Lowell MA. 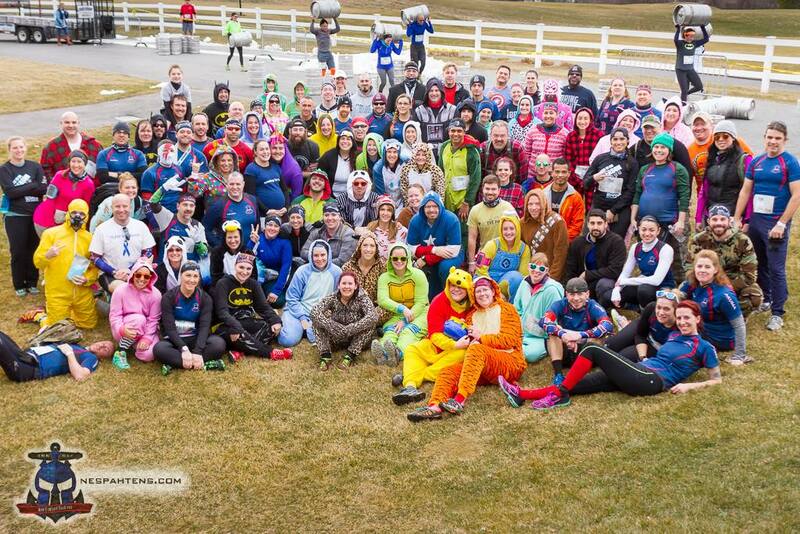 While the snow doesn’t always co-operate, this is a ridiculously fun event, and last year, we ran in onsies. That non co-operative weather? 50f. 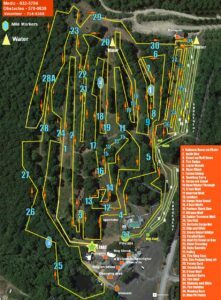 Polar Bear Challenge – February 4th 2017 – Held on the world class course at Shale Hill, snowy and challenging – you want to push yourself, this is where you should do it. One lap, or 8 hours worth of laps. 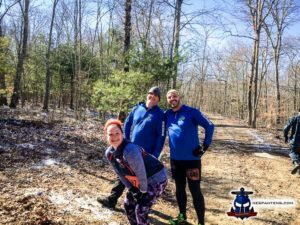 BoldrDash – March 4th 2017 – A Rhode Island staple, this Winter Dash was a blast! 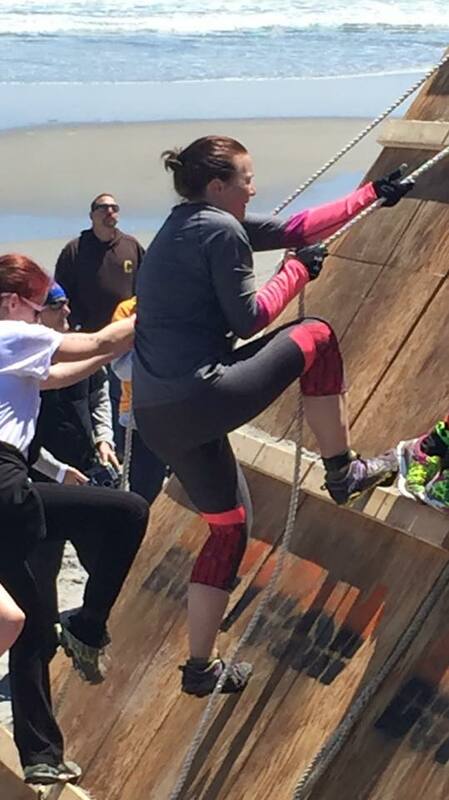 and of course, now a Spartan Race. Held in central New York state, a 6 or so hour drive from Boston. If you’re excited for this, check out the other much more local options too – because after all, there is no off season! 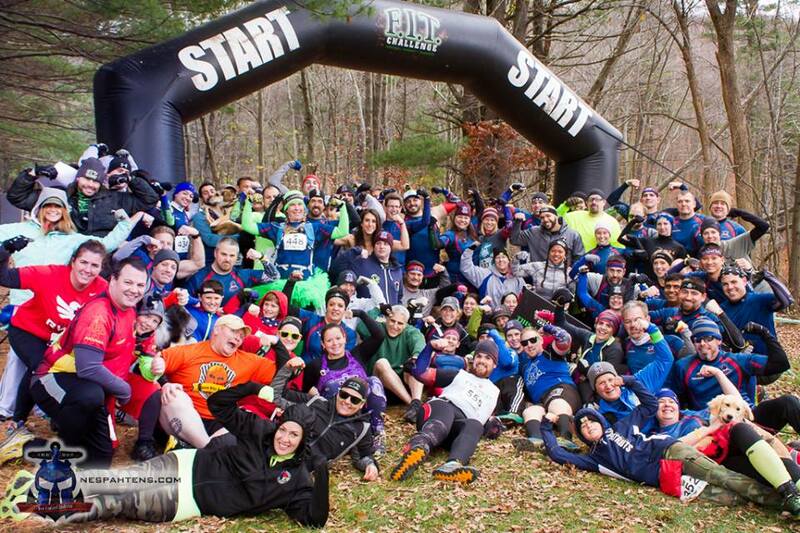 Events like this are why people fall in love with OCR. A small and intimate venue, with about 400 attendees. 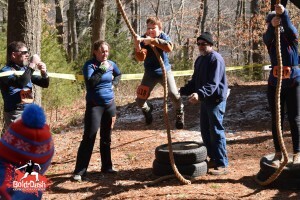 Volunteers and fun obstacles all around, and gorgeous scenery everywhere you looked. I’ve never been to a BoldrDash before. Between timing, apathy about long distances/early wake-ups to get to 5k races, and I’d just never made it. But, after Lynn came out for her episode of NESpahtens.TV, and some calendar checking, I realized that the Winter Dash fit all the right boxes, and I could ride down … and I had no reason not to go. A 6am wake up. Coffee and breakfast at Dunks. Drive out to Steve’s, and we’re pulling into Canonicus Camp Ground in Exeter, RI with time to spare. The venue was easy to find, parking was $10, and we had a short walk to the warm building that registration was setup in. The logistics of registration was simple. Handed over a waver, got a custom biggest team T, shuffled sideways to a lady who took $10 and noted our names down for another lap (or two, or three, depending how ambitious you were). The New England Spahtens, for the first time, had taken biggest team and we grouped up around a table to catch up. I love these guys. 9am was the first wave of the day, and it wasn’t too crowded – I was on course from 9am until close to noon, and didn’t see any backlogs that lasted for more than a few seconds, despite some spots that had the potential to be bottle necks, if the course was busier. 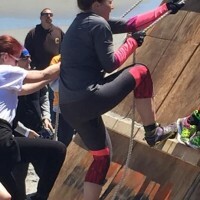 I’d heard a lot about BoldrDash obstacles – but, I’d also heard from Lynn that with this being a brand new venue, and a small event, she would be keeping things simple – and that was a really smart move. 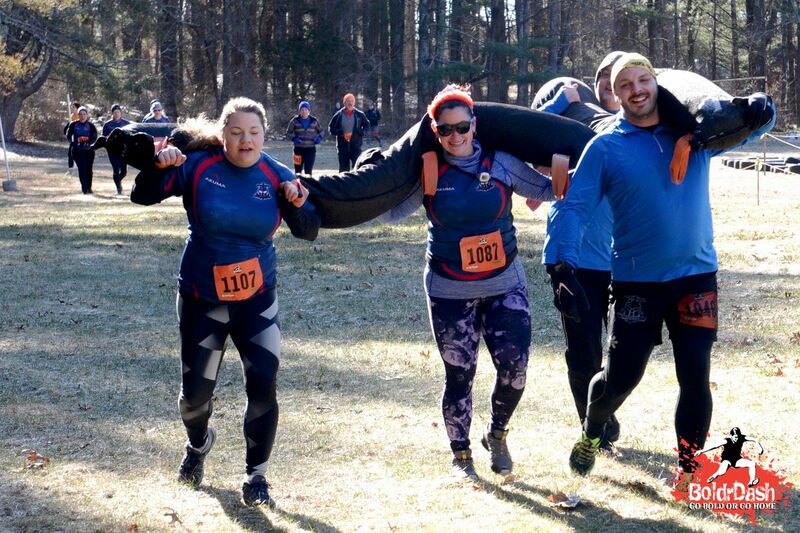 From a small “boulder” carry, to a 9ft long buddy carry Wreck Bag, cargo net *traverse* – a bunch of crawling, tire flinging, rope pulling stuff. Nicely integrating some natural obstacles too, with bench step-overs in an outdoor seating area, crawling under a giant bell and a volleyball net. 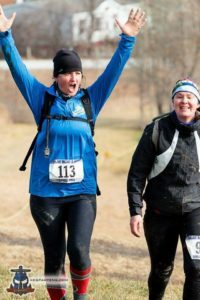 There was never anything TOO challenging, which kept the vibe very beginner friendly, but at 3.7 miles, and lots of nice trails with great views – it didn’t get boring either. I went around twice, and I never do multi-laps. 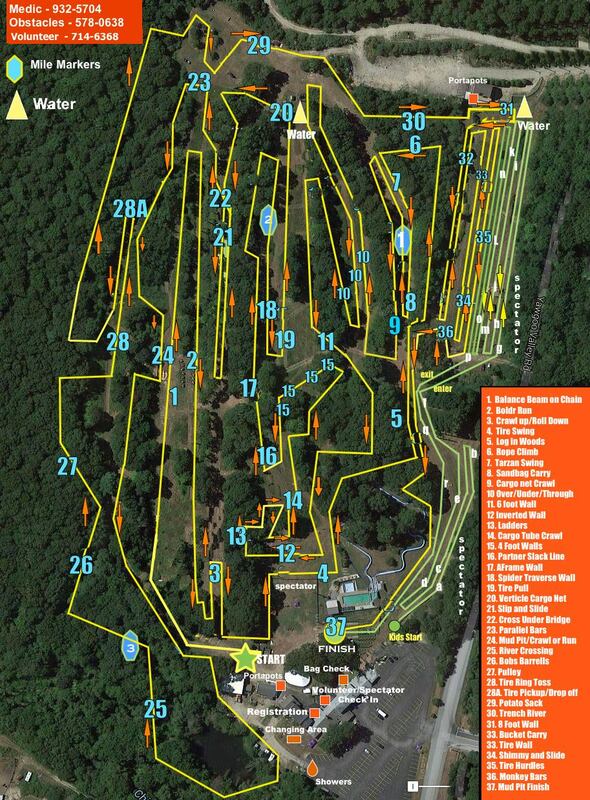 My one nit-pick – and I had to look for this one, because it wasn’t TOO bad – was course markings – especially once we were in the wooded areas, sometimes course markings were nothing more than a strip of tape tied to a tree, and while looking down at my footing, I found myself slightly off course a few times. Easy problem to solve, and no one had too many complains. The race was untimed, with multi-lappers asked to check in and out with a desk right at the finish line so they knew who was on or off course at any given moment. A coffee truck, but no food vendors, and a well stocked BoldrDash swag tent. Custom Biggest Team shirts were standard cotton Gildan shirts, and the medal was a relatively basic sticker-on-a-blank (Lynn falling foul of the Feb/March shut down in China where most medals are produced, something I also ran into last year with #racelocal medals – eh, it happens). The vibe around the venue was fun – with plenty of things to do – no shortage of warm places to hang out or people to talk to. Kudos to volunteers who hung out in the cold, and they were everywhere too! I suspect the venue is pretty close to capacity for parking, available space and available warm spots though. As I said at the top, this is why people come to OCRs. 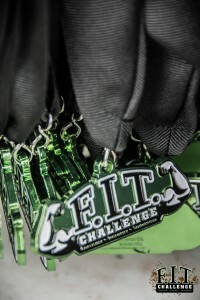 It’s not always about the toughest challenge, most obstacles or longest distance. It’s not always about having huge crowds of people. 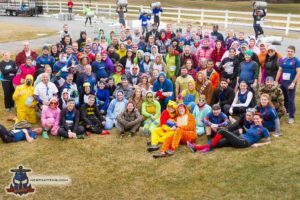 Sometimes, you can do just as much with a lot less, and Lynn and her team did just that with the Winter Dash. 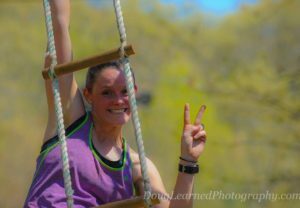 No race is for everyone, and competitive athletes may have found themselves wishing for the tougher, bigger BoldrDash setup – but for an event that was billed as low key and friendly, this was well thought out, and well executed. Nice job, BoldrDash crew! What did you think? 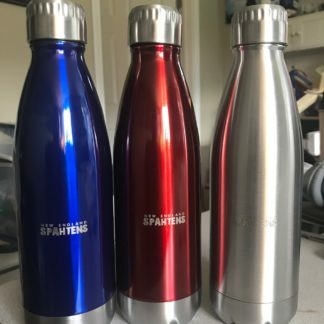 Click here and leave your own review! 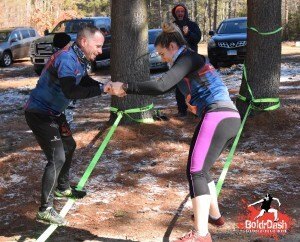 BoldrDash is loved by many Rhode Island racers – and has been around and putting on solid, challenging events since 2010. 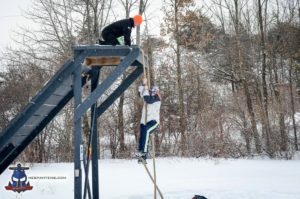 One of the few events that started back then that is still around, and thriving – putting on a couple of races each year, and supplimenting them with training camps and programs – even adding Unleashed to their roster of facilities. 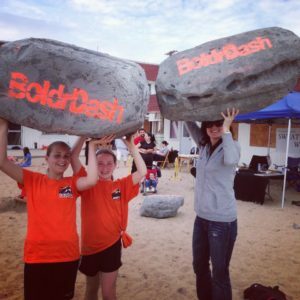 BoldrDash is also one of the amazing races we hand picked to be on our #racelocal Grand Prix, and for early 2014 you can race in the opens or elite divisions of the Grand Prix – right on the beaches of Rhode Island! We (well, Corrine!) chatted with Lynn and got to know her, and her events a little better. Check our featured reviews of the 2013 beach event and fall events! The conception of BoldrDash was in 2010. The company was actually formed in January of 2011. 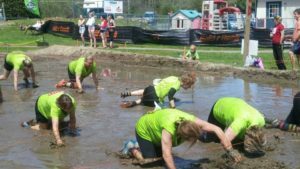 What motivated you to start an obstacle course racing company? So with the help of so many fantastic friends and my wonderful family I agreed to take on the challenge. I left my job, and began the build. We were not only building obstacles. Back in 2010 and 2011, we were building a foundation. We were educating the public. 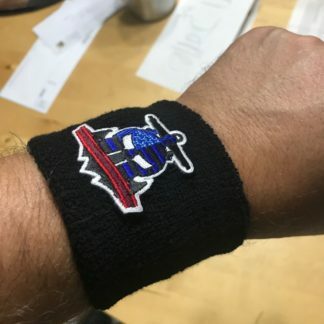 The OCR revolution had only just begun. 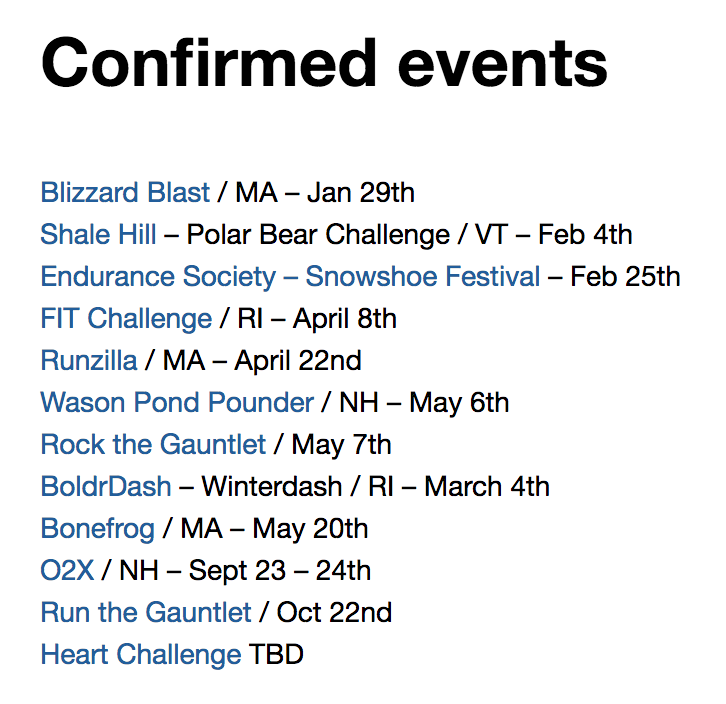 How many BoldrDash events have there been since you started? How have they grown? 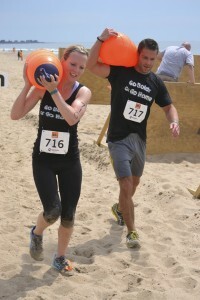 The first BoldrDash Race was held on August 13, 2011. There were 600 in attendance and about 589 of them didn’t have any idea what they were getting into. ( I guess you could say, neither did I.) Mostly, there was an atmosphere that screamed FUN. When the day ended, my husband scraped me up off the ground and took me and my three very tired children home. It was a great day. 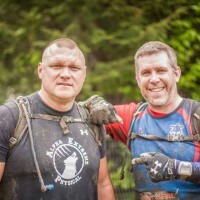 We created a cool event, we raised some money for the local schools. As far as I was concerned it was the coolest thing ever! Soon, the emails began. 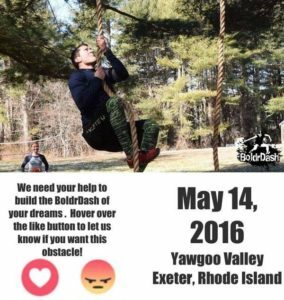 People were sharing stories of their success and what the BoldrDash event meant to them. I was humbled by so many of them. Stories of success, stories of triumph. Those participant emails and stories are what made BoldrDash come back. 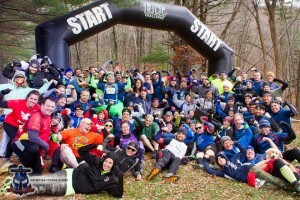 The following year we had 1200 runners and more stories of success. In 2013, our third straight year of bringing events to RI, we added our beach event. This first time event brought in over 1200 people to the sandy shore of Westerly RI. We felt privileged to be a part of the effort to ‘Bring Back the Beach’ after the devastation of Super Storm Sandy. Also in year three we, of course, returned to Exeter. This time over 2000 people shared in the fun. We created a our first ever BoldrDash Kids, with 8-16 obstacles for kids 4-12. A great way to spend the day with the whole family. BoldrDash is known for it’s customer service. Before/during and after the race, race director, Lynn Hall is always accessible. Safety is always our highest priority. 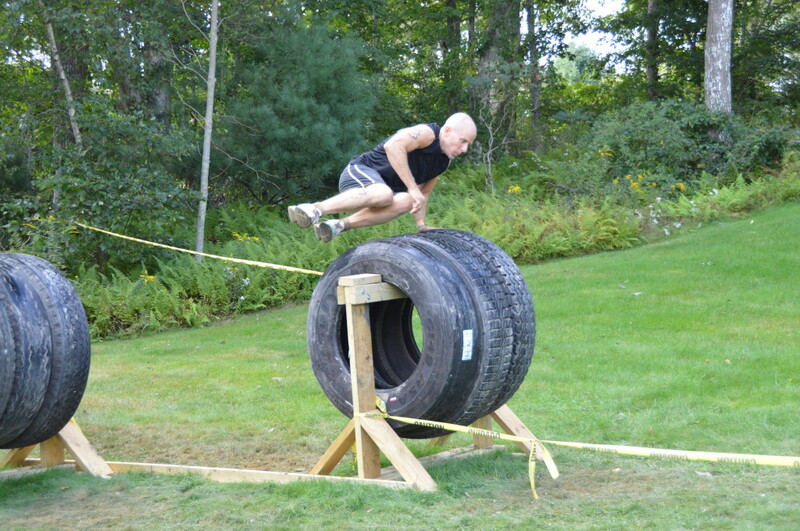 You can expect a minimum of 20 well thought out and well built obstacles, usually closer to 30 on a 5K course. 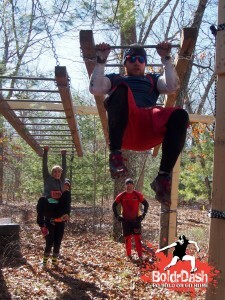 Some of our obstacles are the regular wall climbs, cargo net and wire crawls. You can also expect to see things that you have never seen before. Our creative juices are flowing constantly. 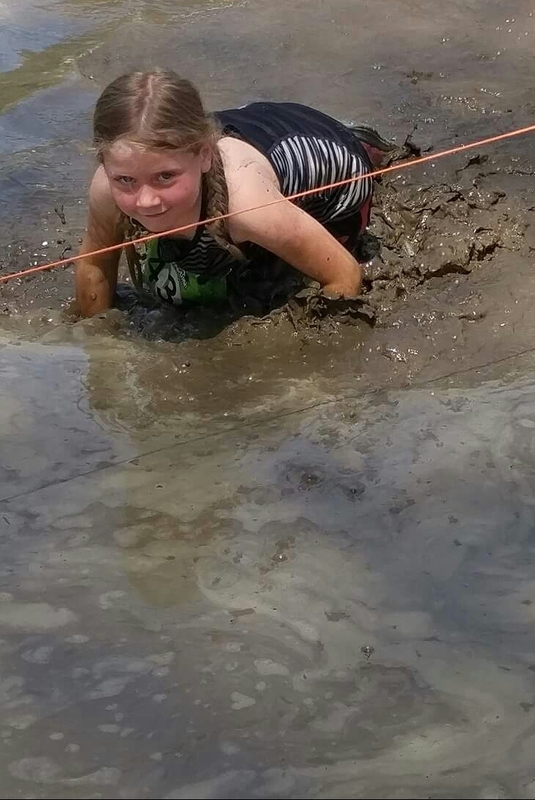 We have some great beach themed obstacles at the beach race and all the mud you could ask for at mud event in the fall. Our after party differs from venue to venue. Yawgoo Valley, Ski and Sport in the Fall is the source for all food and beer. We have venders like REI, local Chiropractors, massage therapists, and physical therapists there for our runners with stretching stations and quick evals. 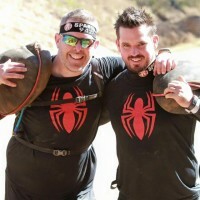 Last year we had free rock taping at both events for all runners. Of course there is music and ALWAYS – BOULDERS! 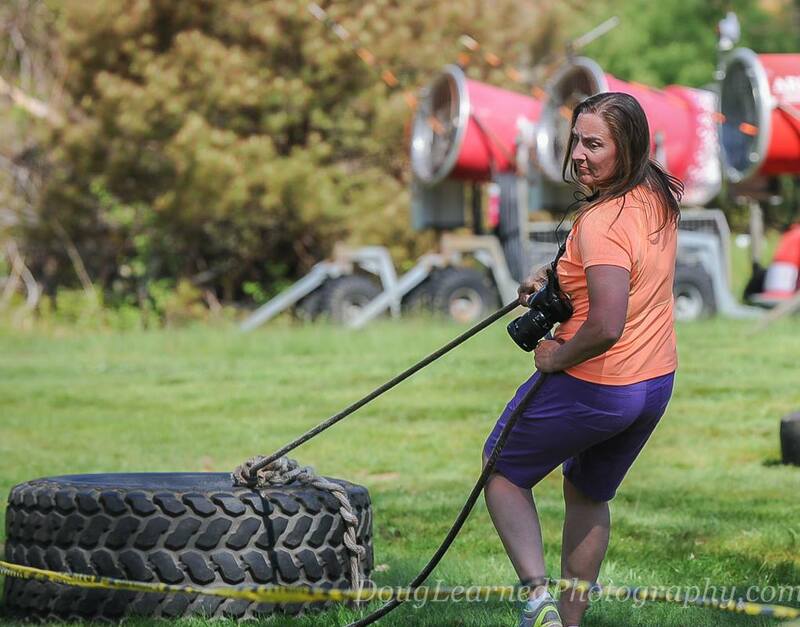 We have our famous giant boulders that our racers LOVE to use to photograph themselves. 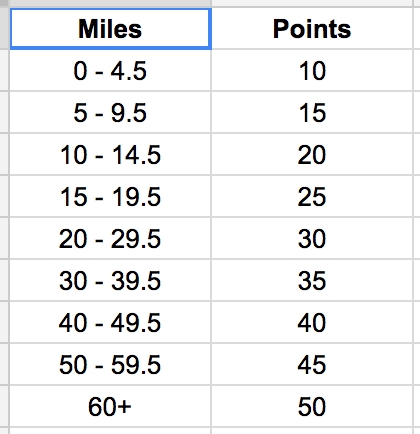 The beach race is different depending on State restrictions. It is illegal in the State of RI to drink alcohol on the beach, so we try to work with the locals on that. 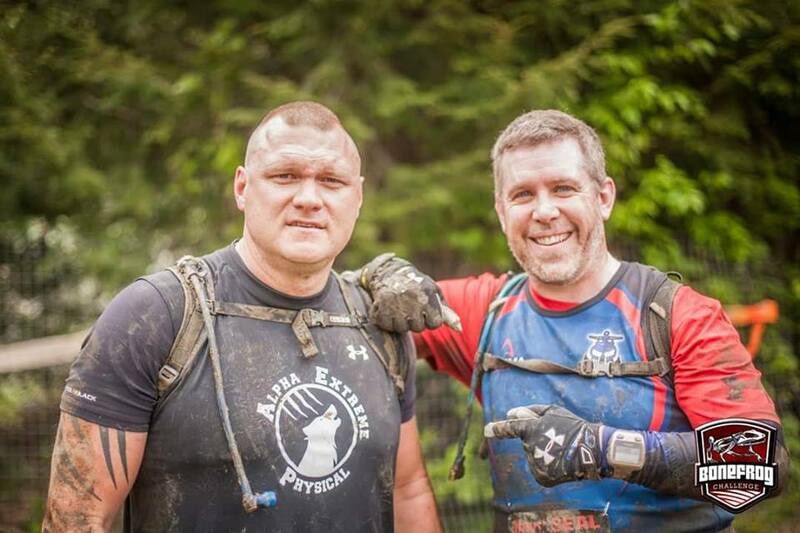 How long is the race distance and how challenging would you rate the terrain? 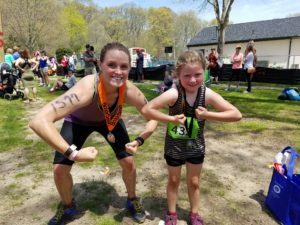 Is the May Beach race longer or shorter than the September trail race? Currently, we are a 5K race at both events. However, that could change. (no hints) The terrain in Exeter is pretty rough. We work with the hills at Yawgoo Valley to ensure proper quad burn by the end of the day. The beach on the other hand needs no assistance. Running in the sand is an obstacle in itself. What are your plans for BoldrDash going forward? We plan to grow our kids event in 2014. We tested it out for the first time this fall and over 450 kids had a blast. Making an impact on childhood health issues is definitely important to us. Sending the message, movement and exercise can be FUN to a child is a huge step toward a healthier living style in their future. So we will definitely be looking at growing the kids event. For adults, at this time we plan to stick to our current standing of one beach and one mud event for 2014. Growth is in our future, but planned and careful growth is what we are looking for. It’s more about quality than quantity in our minds. Where do you see the sport of Obstacle Course Racing going in the future? That’s a tough question. We are in the infancy of OCR’s. There are new races popping up all over, some good, some need more time to perfect their craft. There’s lot’s of talk about standardizing the industry. I am on the fence on that one. I think people love OCR’s because they are different. If you standardize too much, you loose that individuality that the runners are looking for. On the flip side some standardization could help ensure safety. 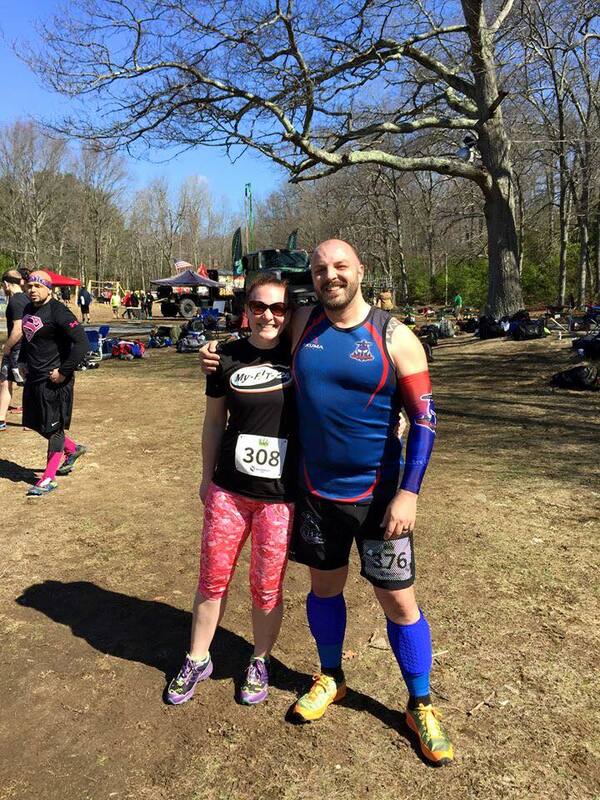 I love to see new races and new ideas, but over-saturation and over-growth are issues that have affected many OCR’s recently and it is sad to see some of them go. I love the big guys, they offer a great experience with lots of showmanship. However, the more local races, I think, are going to be what keep the big guys in business. Not all runners can follow a large series around the globe, but sticking close to home and developing yourself in the local OCR world, then taking on the challenge of a larger, longer race is where it’s at for many.